Position yourself towards freedom after graduation today. Green Monday Sale! Enjoy 50% Off regular Registration rate! What is the Funding College Debt-Free Online Boot Camp? The Funding College Debt-Free Boot Camp is a 10-week community online course designed for anyone who wants to take action towards positioning themselves for freedom after graduation. 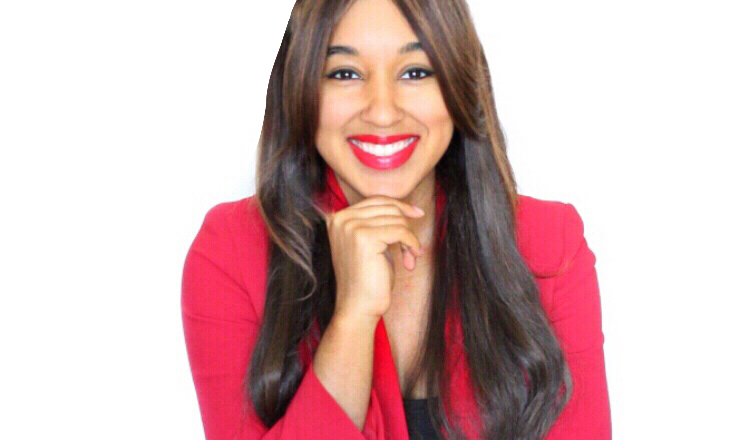 Taught by Elease Dillard (debt-free college graduate, award-nominated entrepreneur, and bestselling author of Funding College Debt-Free), you will learn step-by-step strategies and insight towards pursuing your education with confidence. Who Can Enroll in the Boot Camp? How Does the Funding College Debt-Free Online Boot Camp Work? The Funding College Debt-Free Boot Camp is a 10-week community online program. Because so much information will be covered, you will have an entire week to watch the video lesson and receive credit for completing the required action steps—allowing you to take the boot camp from anywhere and fit it within your busy schedule. You will not go through this alone. This is a hybrid program, meaning you will not only have the ability to self-pace yourself throughput the week but also have the opportunity to ask questions at any time. You will also develop a community with other students in your classroom as you all embark on this journey together. Upon completion of the boot camp, you will receive exclusive benefits within The Student Navigator. ...with an entire week to complete! Designed especially for boot camp participants! Need help with completing an action step? Your success is top priority. Develop a community with other students in your classroom as you all embark on this journey together. 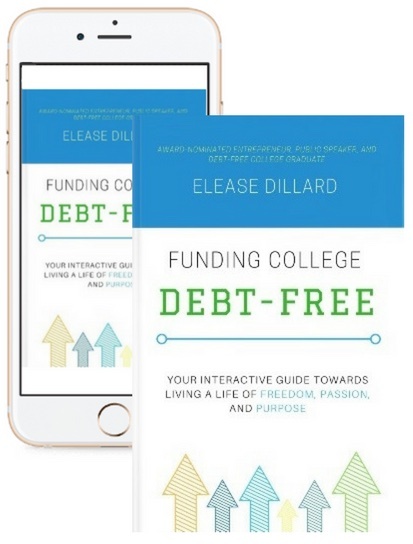 Enjoy your free copy of Elease Dillard's best-selling book, Funding College Debt-Free, to keep you on track after the boot camp is over. As a boot camp grad, enjoy exclusive benefits at The Student Navigator! If I Already Bought Elease's Book, Can I Still Enroll in the Boot Camp? Yes, absolutely! Every boot camp member will receive a free copy of Elease’s Funding College Debt-Free book, so you are a step ahead! Her book was written to be a guide, so in the boot camp we will dig deeper and cover these topics more in depth than what is in her book. You will also be required to complete action steps each week in order to receive credit for the lesson, adding an extra layer of accountability. There are also advanced resources exclusive to you as a member within the boot camp to help you even more on this journey. So get ready! Join our boot camp and start positioning yourself towards freedom after graduation today. Don’t miss out! © 2019 The Student Navigator, LLC. All rights reserved.